What different types of funeral tribute are there? Where should I have the funeral flowers delivered? 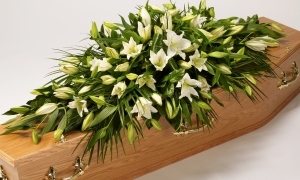 What type of message is sent with funeral flowers? When do I need to order the funeral flowers by? 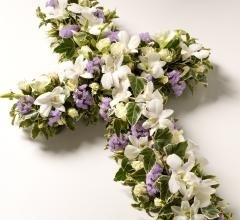 The Funeral Flowers Company is a Family run business here to help you through the process of buying funeral flowers. We have been arranging for the delivery of flowers to homes and funeral directors across the UK for over 20 years. All tributes are carefully made by professional florists and hand delivered from local shops. You can order securely from our extensive online range or call us to arrange a bespoke floral tribute.